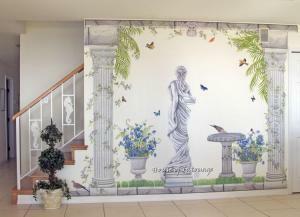 Let House of Tatouage be your source for Tatouage Designs & Murals. We carry all Tatouage Designs dry rub designs. 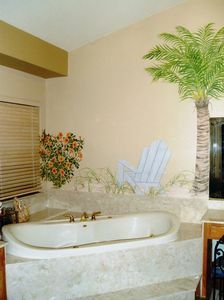 Create the beauty of handpainted Murals in your home in just minutes with Tatouage Dry Rub Transfer Murals. 100% Authentic and Guaranteed Original Product. No imitations. Made in the USA. These look handpainted but without glue, paint or water and no mess! A Fun Place to shop for Tatouage - We Love our Customers! 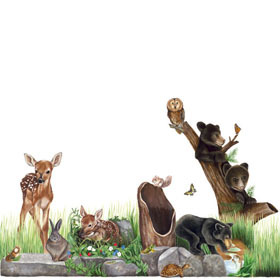 Let me introduce you to "Beautiful Tatouage Transfer Designs"
We have Tatouage Designs Wall Murals, Beach & Garden Scenes, Palm Trees and much more! Place an order online, order a Tatouage Catalog or call 801-979-0250 Mon-Friday 9am-7pm MST. If you have questions or need help, Just call us or email us. Looking for a Tatouage Design that is no longer available? 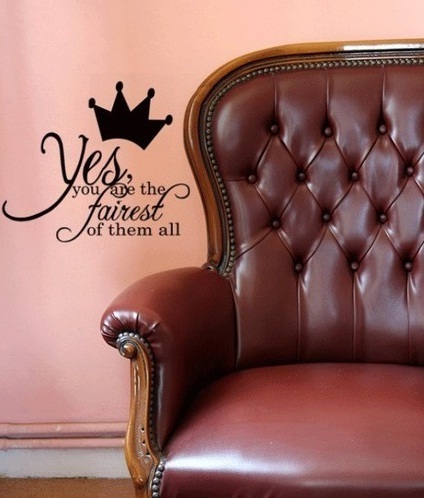 Simply contact us and we'll do what we can to help you find that Tatouage! Tatouage Transfer Designs as seen on TV! 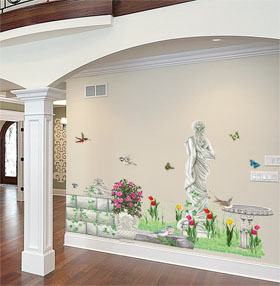 Tatouage is a home decor product made of a high resolution dry rub transfer. It can be applied to almost any hard surface, especially walls. 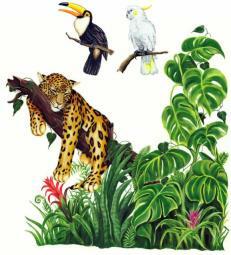 Tatouage is used without any fumes, glue, water, paint and especially without any mess! 1. Where do you want to apply the Tatouage transfer design? 2. 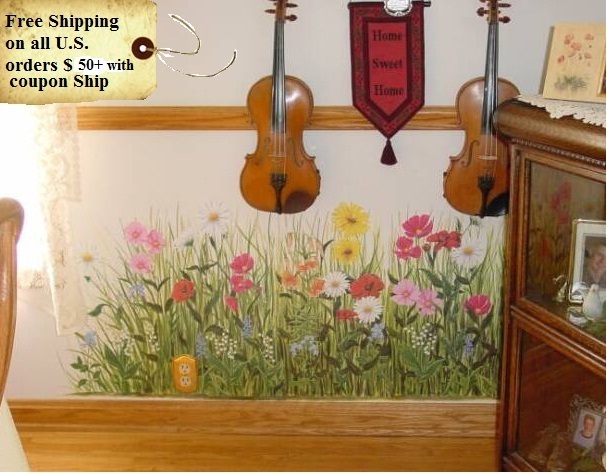 Use a pair of scissors and cut the design out, leaving at least a 1/2" border around the design. 3. Now, tape the design in the desired location, making sure the backing is also taped to the front design sheet. 4. Once you have it in place with the transfer down color side up, slowly remove the protective backing. Now using the wooden stick, rub the design onto the hard surface, while peeling the transfer back very slowly. 5. Once you are through, you will have a masterpiece in minutes! It's truly is that simple! If you've ever used dry rub transfers in scrapbooking, you can Tatouage! Click on the Tatouage Online Store Link to check out all our designs and save some money in the process! Please Note: Selected Images & Content are Copyright © Tatouage DesignsTM and are used with full permission. This website is © 2004-2012 Angela Bowker - The House of Tatouage - all rights reserved. 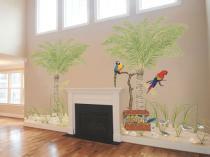 *Note-Tropical Mural Scene above was created by Molte Belle Designs and used with permission. This Website is Copyrighted and may not be duplicated or copied in any form by anyone, including Tatouage Consultants or distriburtors without express written permission.